They represent the fourth generation in a family that’s been working in the restaurant industry for over a century. The Vicina family is a tight-knit team composed of Claudio and his wife Anna in the kitchen, while Stefano runs the dining room. 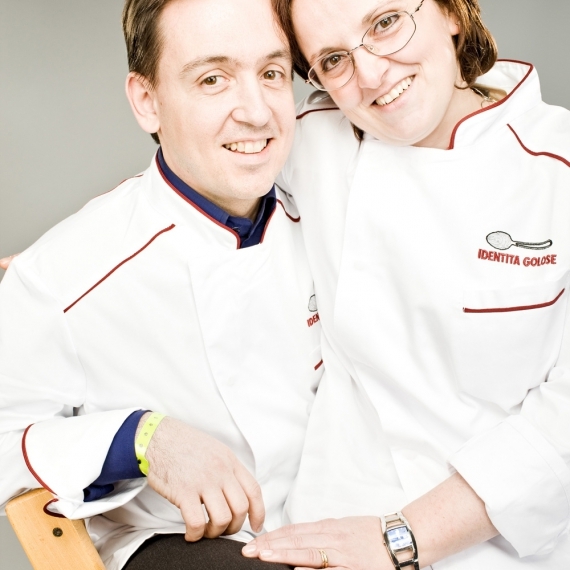 Their experience began 20 years ago in Borgofranco d’Ivrea, in the family restaurant. In 2003 they moved to Turin, to a super-modern place in the Crocetta neighbourhood, in contrast with their sound cuisine from the Canavese area. In 2007, therefore, they decided to participate in the Eataly project, becoming the gastronomic restaurant of Turin’s temple of good food and uniting their name to that of Guido Alciati, their teacher and friend. Born in 1967, Claudio is a chef who was indeed trained in the family kitchen but who also has a good resume: he began by learning all that’s necessary on yeast and bases at the Morandin pastry shop in Saint Vincent. He then acquired a strong experience by working for two years in the kitchens of the historic restaurant Guido da Costigliole and as an apprentice for Marchesi. Neat tastes are a fundamental element of his philosophy: «I want people to clearly taste what they are eating in my dishes». A maniac precision together with the desire to reproduce traditional tastes are the other two elements that characterise his way of being a chef. To him, evolution is the daughter of a daily search for perfection in traditional dishes such as agnolotti al sugo di arrosto, faraona or tonno di coniglio. His merit? «I’m very constant, I have a good memory for tastes, I remember them, even if ten years ago we ate the same things, but in a different way. I try to update myself and make my taste grow, together with my recipes». His defect: «Perhaps I’m a little monotonous, I don’t easily dive into a new adventure also because clients enjoy finding certain tastes again». Anna on the contrary, is a “chef by chance”. 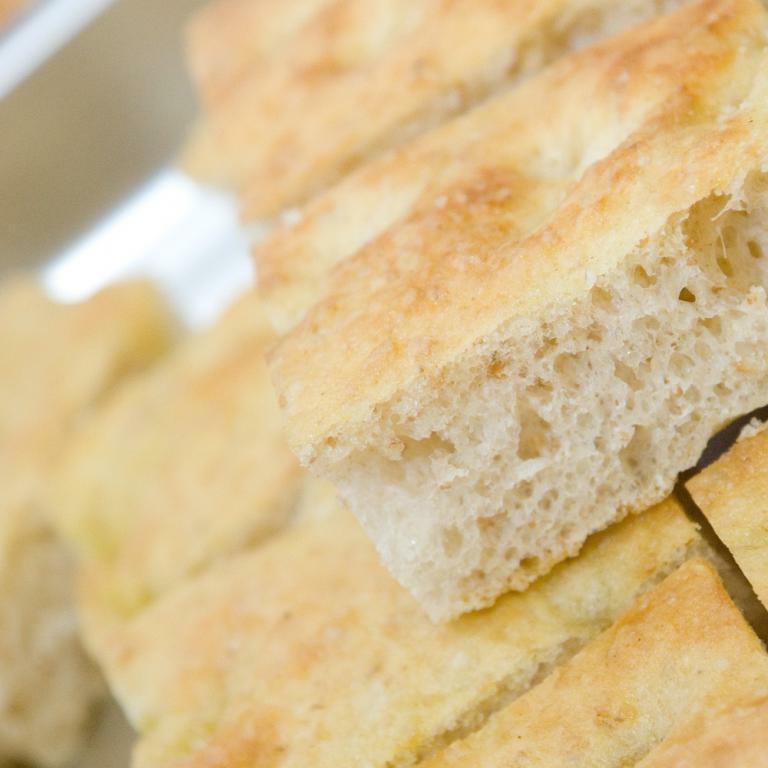 Her first experience with restaurants was in fact at Casa Vicina in Borgofranco di Ivrea. And there she stopped, after falling in love with Claudio, whom she soon married. She worked in the dining room until the first pregnancy. Then she began her adventure in the kitchen with desserts: Claudio slowly taught her all his secrets and now pastry is her kingdom. Today, however, she considers herself the kitchen jolly, and contributes wherever she’s needed. When they’re at home, however, Anna doesn’t like to cook. Torinese, controller di professione, è anche sommelier; ama la moda e, soprattutto, la buona cucina.